Expires March 31st, 2015. Not valid with any other offer. There will be a $10 charge for matted cats. 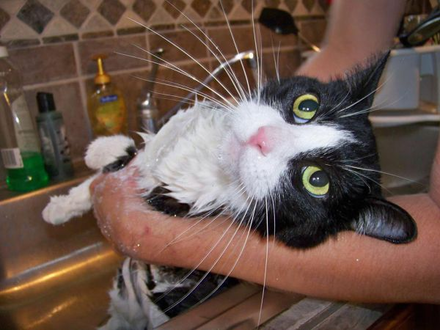 Your cat will receive a haircut, nails, feet trim, bath, and a gentle face and ear cleaning all at the comfort of your home. Your cat will receive the same deal as above. This is for cats with matted fur. Carolyn has been serving the New Braunfels area as a Mobile Cat Groomer since 2007 and has groomed thousands of happy kitties. Carolyn has been working with cats since she was a child and is a member of the National Cat Groomers Institute of America. She has been exclusively grooming cats for the past 10 years.